I escaped this afternoon for nearly two hours away from the video games, toys and being beaten over the head with a cardboard tube light saber. I used my time wisely to burn off a few calories consumed over the past week or so and set off for a walk up the Rock. 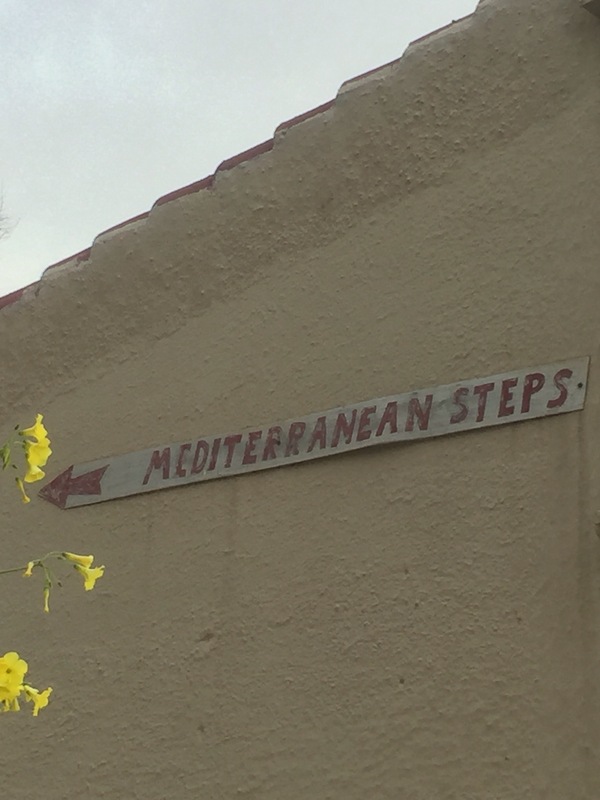 It was a bit blowy to attempt the Med Steps so I settled for the less treacherous western side along the roads used by the many taxi cabs and tour buses which ferry tourists to the summit daily. As I strode purposefully up this great Rock a tune was turning over in my mind, a festive tune, known in our house as ‘A parsnip in a pear tree’ (The Twelve Days of Christmas). A few new lyrics started popping into my head too, if you don’t mind a little festive corniness read on…. 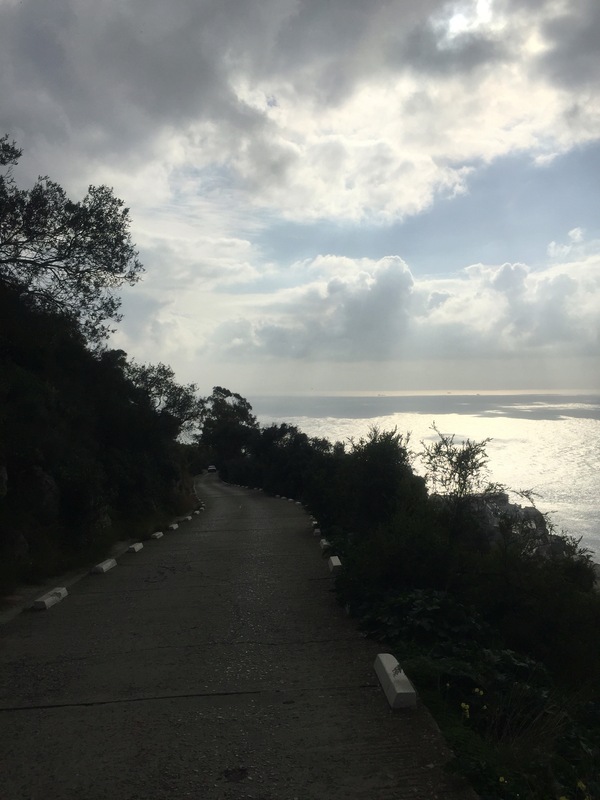 On a walk over Christmas, Gibraltar gave to me: a most amazing view. 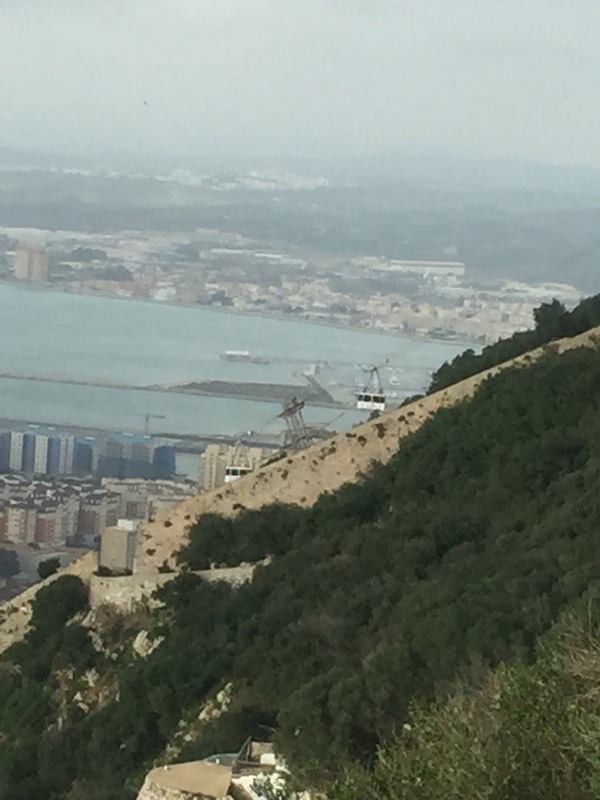 On a walk over Christmas, Gibraltar gave to me: two cable cars and a most amazing view. 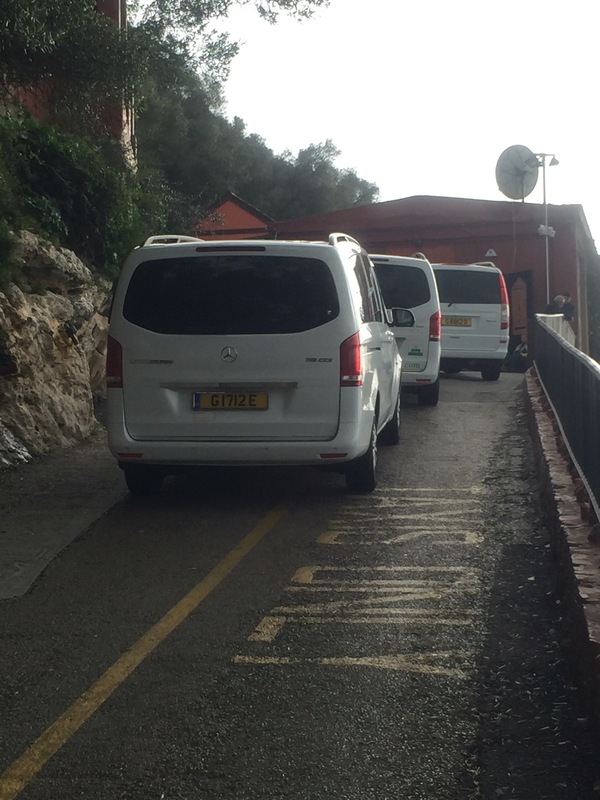 On a walk over Christmas, Gibraltar gave to me: 3 taxi cabs, two cable cars and a most amazing view. 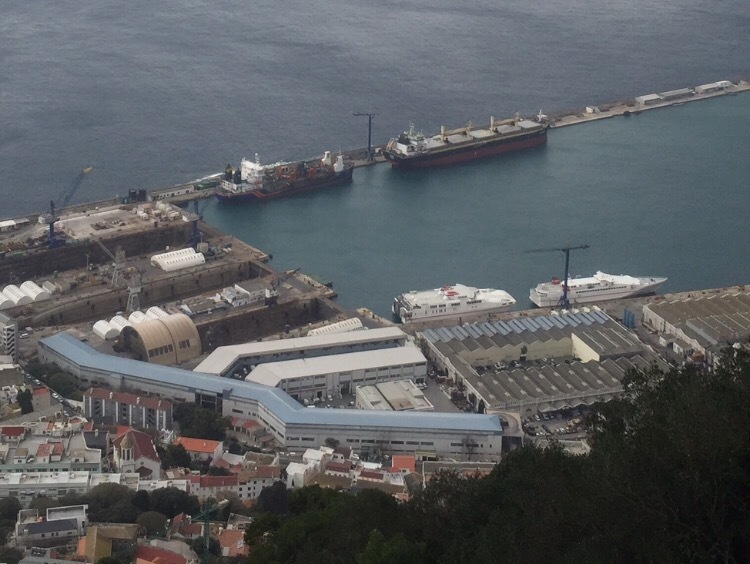 On a walk over Christmas, Gibraltar gave to me: 4 boats in the harbour, 3 taxi cabs, 2 cable cars and a most amazing view. On a walk over Christmas, Gibraltar gave to me: 5 cannon rings, 4 boats in the harbour, 3 taxi cabs, 2 cable cars and a most amazing view. 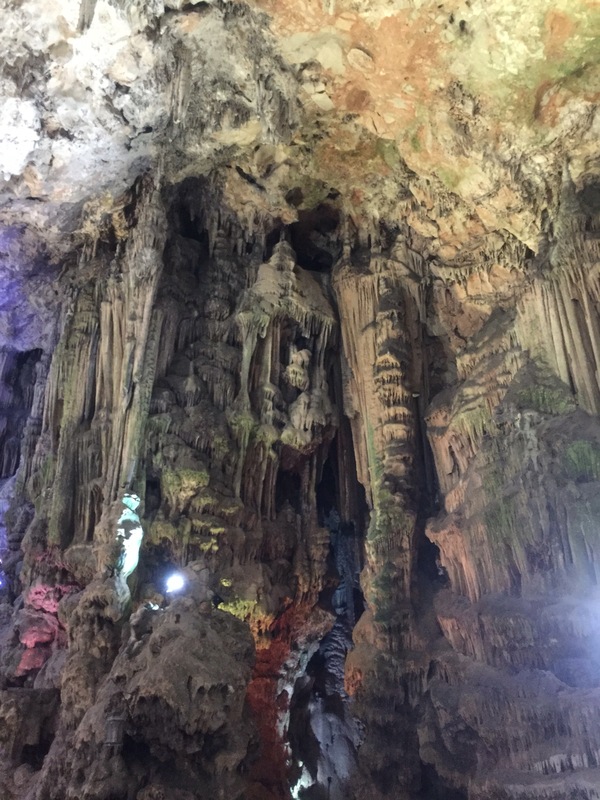 On a walk over Christmas, Gibraltar gave to me: 6 stalagmites (and the rest! ), 5 cannon rings, 4 boats in the harbour, 3 taxi cabs, 2 cable cars and a most amazing view. 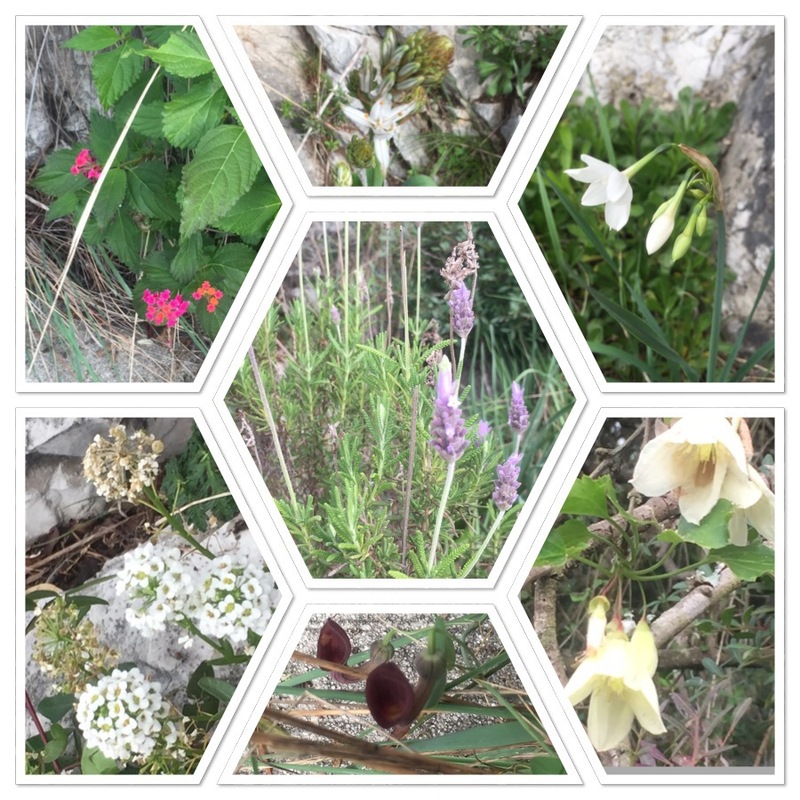 On a walk over Christmas, Gibraltar gave to me: 7 winter flowers, 6 stalagmites, 5 cannon rings, 4 boats in the harbour, 3 taxi cabs, 2 cable cars and a most amazing view. 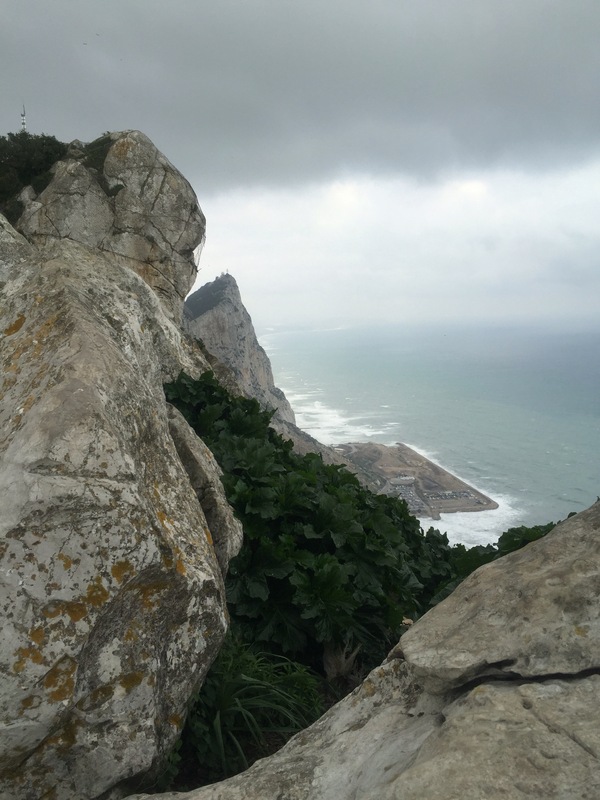 On a walk over Christmas, Gibraltar gave to me the Mediterranean Steps, 7 winter flowers, 6 stalagmites, 5 cannon rings, 4 boats in the harbour, 3 taxi cabs, 2 cable cars and a most amazing view. 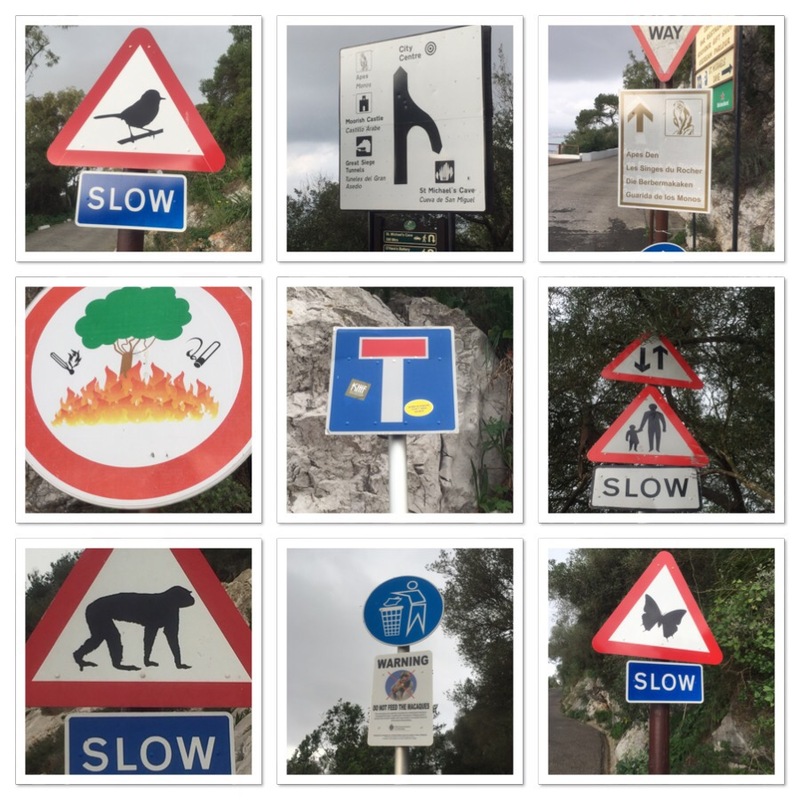 On a walk over Christmas, Gibraltar gave to me 9 road signs, the Mediterranean Steps, 7 winter flowers, 6 stalagmites, 5 cannon rings, 4 boats in the harbour, 3 taxi cabs, 2 cable cars and a most amazing view. 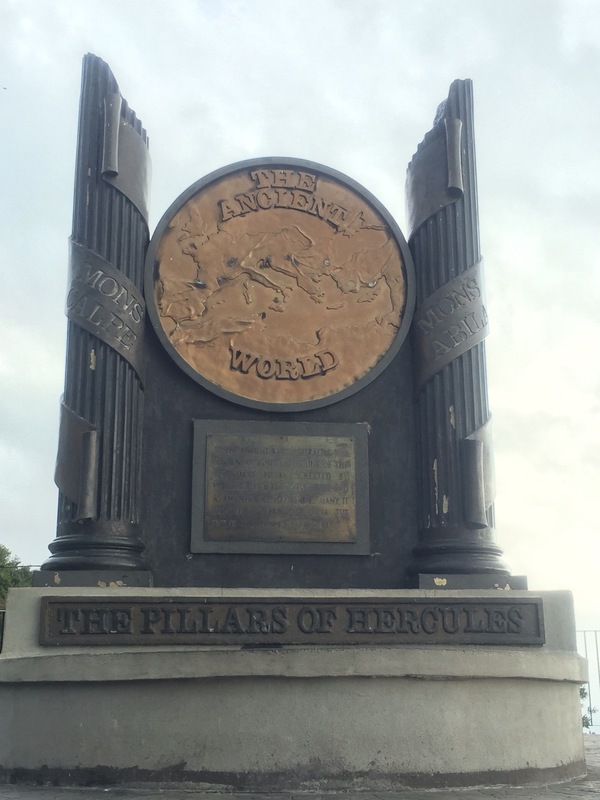 On a a walk over Christmas, Gibraltar gave to me Hercules’ Pillar, 9 road signs, the Mediterranean Steps, 7 winter flowers, 6 stalagmites, 5 cannon rings, 4 boats in the harbour, 3 taxi cabs, 2 cable cars and a most amazing view. 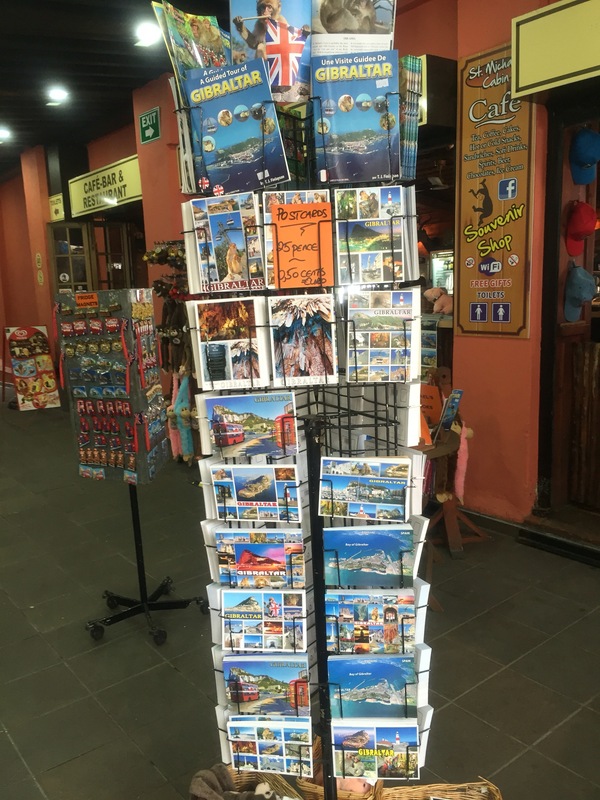 On a walk over Christmas, Gibraltar gave to me: postcards from Gibraltar (sorry I couldn’t resist! 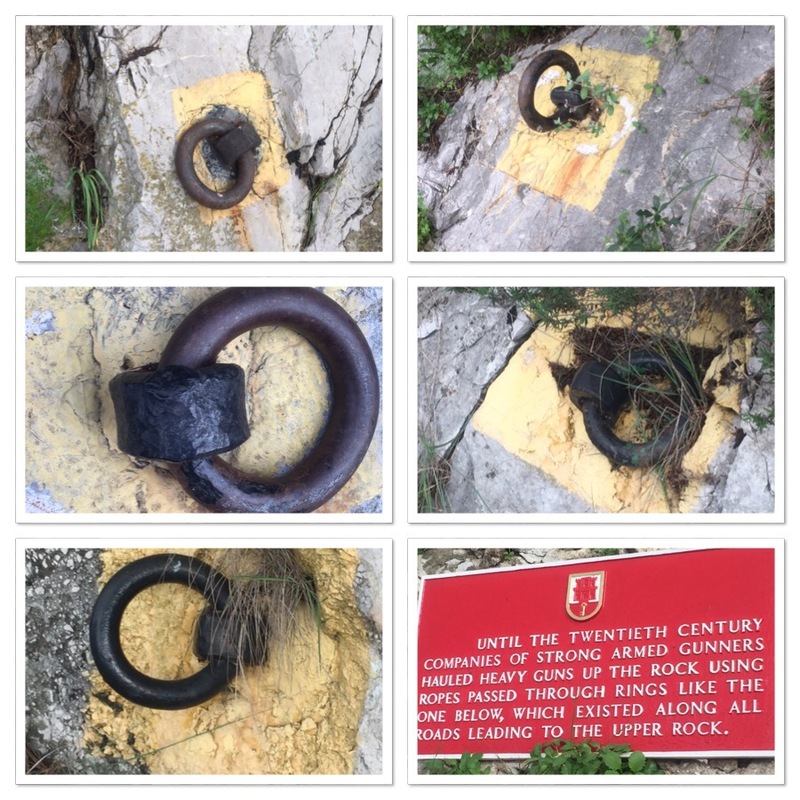 ), Hercules’ Pillar, 9 road signs, the Mediterranean steps, 7 winter flowers, 6 stalagmites, 5 cannon rings, 4 boats in the harbour, 3 taxi cabs, 2 cable cars and a most amazing view. 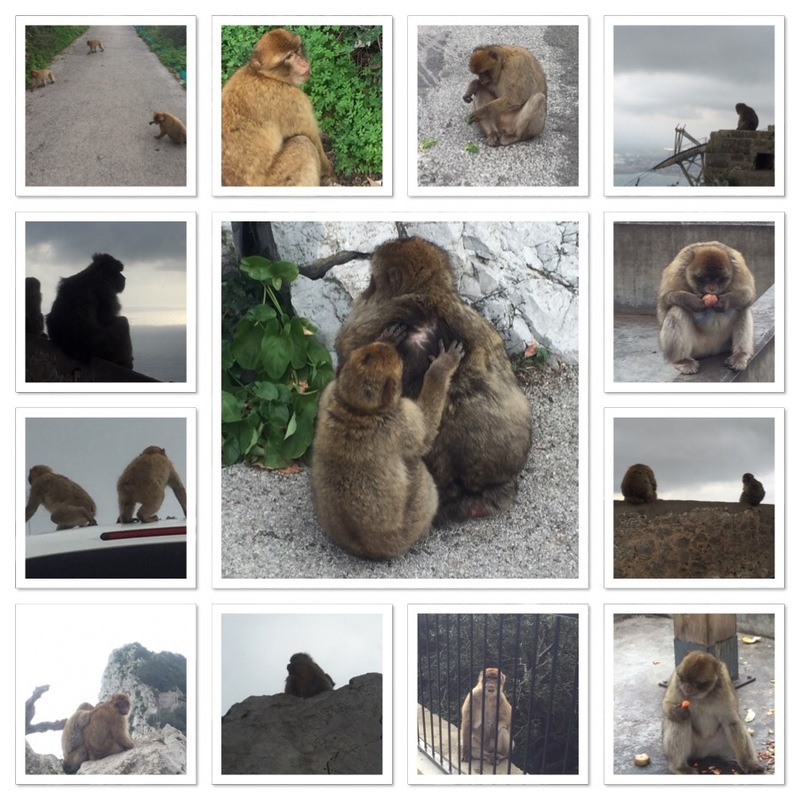 On a walk over Christmas, Gibraltar gave to me dozens of Barbary apes, postcards from Gibraltar, Hercules’ Pillar, 9 road signs, the Mediterranean steps, 7 winter flowers, 6 stalagmites, 5 cannon rings, 4 boats in the harbour, 3 taxi cabs, 2 cable cars and a most amazing view! Next > Review of 2015 … well half of it! EDIT: apologies for the stalagmites (they should, of course, be stalagtites as they are growing downwards) but you get the idea… Right?! Thanks Karen I will do. Thanks for the encouragement 🙂 Gibraltar’s definitely worth a visit. Despite the wintry photos today it’s usually sunny too! I hope 2016’s good for you too! I sang it all the way through 🙂 Great fun – you live in a beautiful part of the world for sure! What an inventive post – thanks for sharing your own version of the song and the lovely photos. Lovely pictures and such a great idea for a blog post! Here’s one from the Postcard from Gibraltar archives to get you in the Christmas spirit Gibraltar style!